Note: Some PMC Product Manuals have been compressed into ZIP files and may require passwords to unzip them. Use this convenient online form to request a password, or call us at +1-760-930-0101. Reference Manual C/C++, Pascal, LabVIEW and Visual Basic programmer's Reference Manual in PDF format. This is the complete, printable reference of functions, constants, data structures and error codes for the Motion Control API (MCAPI). 270 Pages. Quick Reference Condensed summary of functions, constants, data structures, and error codes for the Motion Control API (MCAPI). Use as an electronic guide or print it out as a convenient desktop reference. 2 pagpci30032aes. Reference Manual The complete, printable reference for our Library of custom Virtual Instruments for LabVIEW programmers. Manual On-board G-code and M-code interpreter reference manual for the MultiFlex family of motion controllers. TechNOTES are concise technical support documents that provide clarification, additional information, corrective action or tips about a specific technical issue or topic related to our motion controllers. Brochure Summary of software and programming options for PMC's motion controllers. Data Sheet Features & specifications for the MultiFlex PCI 1440 motion controller. 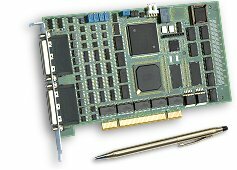 Data Sheet Features & specifications for the MultiFlex PCI 1040 motion controller. Accessories Cables and interconnect options for the MultiFlex PCI Series of motion controllers. Part Numbers Part numbers and ordering information for the MultiFlex PCI Series of motion controllers. Selection Guide Chart comparing the main features of all PMC motion controllers. Brochure Brief introduction to PMC, our Mission, our Applications and our Products. Motion CD Our Motion CD is a hard-copy source for software, documentation and support resources for all of PMC's Motion Control Cards.